Maybe you've noticed it, maybe you haven't, but there was a naming phenomenon that swept the country for the past decade until now. 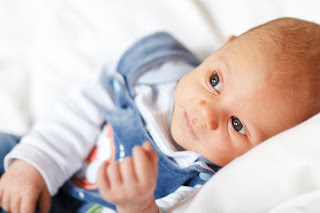 In 2011, more than 700,000 American baby boys had names that ended with the letter N. Maybe you haven't thought about it, but now you're able to recall all the little Aidens, Masons, Ethans and Jaydens that you know. With all the recent data released for 2012, it looks like the "era of the -n" is finally starting to wind down. The 5 fastest falling boy names last year all ended with N.
Jaden has embarked on its journey down the chart due to most parents choosing Jayden as their standardized spelling. Jayden actually also fell since last year from #4 in 2011 to #7 in 2012. Ashton has finally seen its day; perhaps partial blame is on Mr. Kutcher's name being splashed all over the news in the past couple years? Justin has notoriously been a "cute-boy" name, from Timberlake to Bieber, parents are finally weening off of it after a long run of popularity. The top 3 names were the celebrity-inspired names that lost popularity along with the "stars" they were named after: Dulce María, Audrina Partridge, and Danna Paola. The reason Alexis and Alyssa are noteworthy on this movers-and-shakers list is that they've both seen mega popularity in the 1990's and 2000's. It seems as though their day has come to an end. While the names will remain on the Top 1000 for many years to come (perhaps forever), their decreased usage puts a time stamp on them. 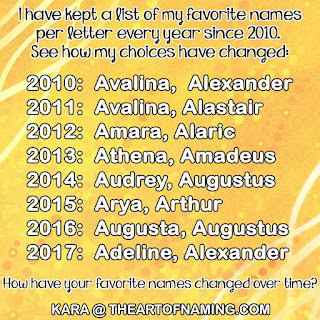 What do you think of these names? Are there any other big-movers that are worth mentioning? Let me know in the comments below!